That premiere was amazing, they have really stepped up their game since X. (Well X is where I started watching it as it aired.) I have loved UltraMan so much since Ginga forward. This just continues the tradition. Riku is just a great main character, I loved his drive to be a hero, and that he didn't like Sitting around and doing Nothing. This definitely has lots of continuity and I love that about the UltraMan series, that in the main series they aren't afraid to connect the past ones and use that history. I mean Kamen Rider and Sentai do it in the movies, but it would great to acknowledge them in the series like how Rider and Sentai did in the Showa Era. Anyways, the secret base was awesome, the fighting was amazing, and I think Geed is my favorite Aesthetic look of an UltraMan (I think tied with forms of X, Victory, Ginga, and Orb.) Very likeable cast and just amazing premise, I can't wait for more. Sentai isn't supposed to have continuity though as every Sentai series is set in its own universe. 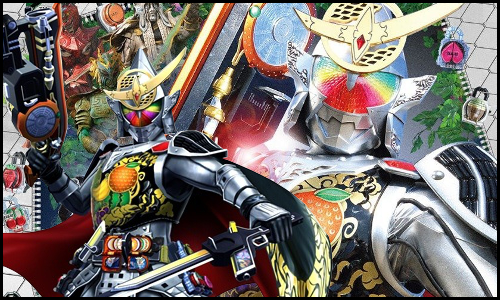 They only did it with Gokaiger due to the annniversary and for some reason Sun Vulcan and Denjiman are loosely related. Anyway, I watched the first episode as well and it was decent. It was a first episode, but it didn't feel as rushed as other series have done with their premiers. Not sure I understand the opening prologue though, but whatever, I'm sure it will be more explored. Does anyone know if this is going to be 25 episodes like Orb or be the standard 50+? Last edited by Dr Kain; 07-09-2017 at 10:49 AM..
And I wouldn't really call 50+ episodes a standard for Ultraman anymore, the last show which ran that long aired like 10 years ago. We had shorter shows ever since. He's probably just talking about the standard of Tokusatsu in general. While I have no doubt that we'll get a 48(+) episode series again eventually, I wonder how long it'll take to reach the point were Ultraman is that profitable again. Ultraman's been gaining popularity in the last few years but it'll probably take at least a couple more years of fine tuning the show for the new era before they're willing to take a risk like that. Yeah, I was just talking about Toku in general. 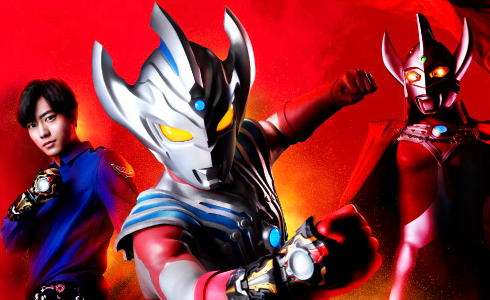 Frankly, I'm okay with Ultraman series being only 25ish episodes. If that means they can take a 50 episode budget and put it into 25 strong episodes, I'll be okay with that. Yeah, probably better than having bunch of filler eps. 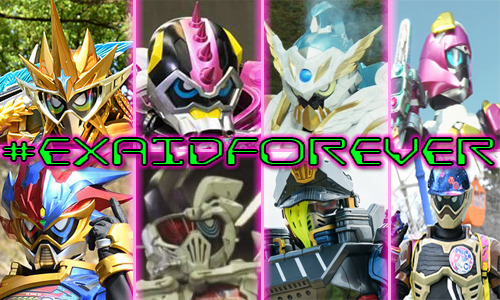 I actually don't have a problem with Tokusatsu that are mostly filler episodes. Most Ultraman shows are more about how people react to the constant monster attacks and the effect not only the people but the monsters and aliens have on one another then a proper storyline. This, when combined with the 3 minute time limit forcing almost all battles to take place in the last five or so minutes of the episodes, makes for some of the most interesting filler episodes out of any tokusatsu series. I think Ultra Seven did it best though because he didn't have a time limit, he didn't always fight a monster, and battles weren't always at th eend of a episode. It doesn't. Tsubaraya doesn't have nearly the amount of cash to pony up for its shows that Toei does. That might be changing now that it's making new shows every year instead of just doing retrospectives, but don't be surprised if we get at least one clip show. Some past Ultras did balance between the fillers and the real plot to the story in the span of 50-ish episodes. The most obvious case is Gaia, they still had some fillers but most of them are rather bleak and some of them are really heartwarming. The fillers are really enjoyable to watch. It's the opposite of Dyna where 85% of the series was composed of fillers. You can cut a span of 10 or 15 episodes and you still haven't lost anything. I think Geed will still play safe by having 25-ish episodes. I don't mind for having more episodes as long as they could provide a better stories. Heck, I would even think that they might give a full year running Ultra series anytime soon. Remember Orb back then, even in the span of 25 episodes, there were still fillers, just like the mysterious cafe case which happened 4 episode before the series ended. However, it's obvious that Orb still could handle it's plot very well.